Stair Fitter is the stair refacing system that anyone can do, so you can finally get rid of that nasty, dirty carpet on your stairs and have beautiful, healthy and lasting hardwood! NuStair originated this stair remodeling method and is the proud owner of two patents – US Patent Number 8,516,771 and US Patent Number 8,749,937. Five years of research and development went into every aspect of the NuStair® product. It was developed by seasoned stair and flooring experts to save time, meet building codes, deliver a superior finished product and ultimately solve a problem many home owners face. When choosing a product to use it your home, why not go with the patented original and best product on the market? Remodeling stairs with NuStair is a straight forward and simple process that can usually be completed in about one day! It eliminates the necessity to remove the nosing from your original staircase, saving time and saving your home sanding and sawdust in every corner! For do-it-yourselfers, we offer step-by-step NuStair installation instructions for both closed staircases as well as open sided staircases. Not a DIYer or don’t have time? We also offer expert NuStair installation. Just select “I need to find someone in my area to install NuStair” on your NuStair order form and we will connect you with a professional stair remodeler in your area! With one day installation and competitive prices, you will be pleased to know we also maintain very strict quality guideline on all of our products! 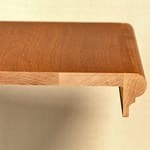 NuStair stair treads are Amish American made in Pennsylvania using select or better American hardwoods. We proudly offer a Lifetime Structural Warranty and a 10 Year Warranty on all wood! 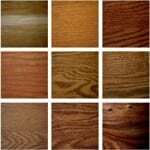 We stock a large variety of colors and species including Red Oak, White Oak, Maple, Hickory, Walnut, Brazilian Cherry, American Cherry just to name a few! View all of our stair tread colors and species, to find the perfect color for your home, and remember, if you don’t see what you need on the list, we can order any species you need! In addition to being cost effective, simple and elegant, the proprietary NuStair staircase remodeling system is also environmentally friendly! NuStair stair covers are installed over the existing substrate framing and nose, revitalizing and refinishing the high-use, high-profile tread of the stairs, while reusing the existing framework. This effectively saves the entire wooden substrate from being torn out and put into a landfill, eliminating the new wood needed to build another one! 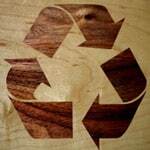 Skip the dump run, and save the trees – remodel your staircase with NuStair! We don’t want to just sell you new stair treads, we want to be your personal project managers. 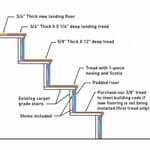 Check out our wide variety of helpful resources including a step-by-step staircase installation video, educational photos and diagrams, a stair parts glossary and much more. If you still have questions, you can even call us for technical support during your NuStair installation or send us a message on the NuStair Facebook page! But it doesn’t stop there; we want to hear how it went! Share your NuStair remodel photos and success stories on our Facebook page, Google+ page, or through our contact form! Designers and architects, we welcome all bids and can provide complete specs and assistance. We are also available for regional store manager meetings and shows. Questions? 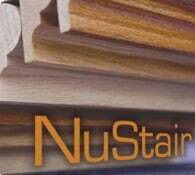 Read more about NuStair stair treads, call us at 717.495.4132, or check out our Frequently Asked Questions page. 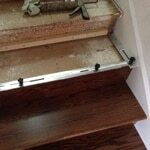 The new hardwood stair tread resurfacing system by Ideal Stair Parts, LLC.